Harvestworks announces the final recipients of the Creativity + Technology = Enterprise Program. Creativity + Technology = Enterprise was a partnership project between Harvestworks Electronic Arts Center and The Industrial and Technology Assistance Corporation (ITAC), a nonprofit consulting organization that helps early-stage technology firms launch innovative products in NYC. The program was an opportunity for artists to leverage their creativity as an experiment in new sustainable models for artistic practice. The goal was to create a bridge between new technological tools at Harvestworks and a marketplace looking for innovative approaches to new technology. The Creativity + Technology = Enterprise Program was supported by the New York State Council on the Arts, with the added contributions of Governor Andrew Cuomo and the New York State Legislature, The Rockefeller Foundation’s NYC Cultural Innovation Fund, and the National Endowment for the Arts. The program review panelists were Alinda Franks, ITAC partner, Toni Dove, intermedia artist, Marya Triandafellos, Brand Transformation and Digital Strategy Consultant, Franklin Madison, Principal of Gaia Ventures and Carol Parkinson, Harvestworks Executive Director. The 2014 recipients join a distinguished list of other Creativity + Technology = Enterprise artists in our program. Mari Kimura’s project e-te (pronounced ‘ee-tay’, meaning ‘good hand, good strategy’ in Japanese) is an interactive sensor experiment that expands on her project The Augmented Violin. This previous device, developed at ICRAM in Paris, is an interactive bowing motion sensor system that analyzes with sharp precision the movement of the violin bow in extracting musical expression from the performer. In extension, e-te applies not only to the violin and string instruments, but also to any object that accepts communicative, expressive motions. e-te uses the new wireless 9-axis motion sensor hardware (accelerometer, gyroscope, and magnetometer) being developed at IRCAM by Phonotonic. The previous prototype she used, called “MO” for Modular Musical Object, was the winner of 2011 Margaret Guthman Musical Instrument Award and was showcased at the Talk to Me exhibit at MoMA in NYC. Mari Kimura is at the forefront of violinists who are extending the technical and expressive capabilities of the instrument and is a pioneer in the field of interactive computer music. In 2010 Kimura won a Guggenheim Fellowship in Composition and was invited to serve as Composer-in-Residence at IRCAM in Paris. As a violinist, Kimura has premiered many notable works, including John Adams’s Violin Concerto (Japanese premiere), Luciano Berio’s Sequenza VIII (US premiere), Tania Léon’s Axon for violin and computer (world premiere), and Salvatore Sciarrino’s 6 Capricci (US premiere). In 2013, Kimura inaugurated a new summer program as the Director of “Future Music Lab” at the Atlantic Music Festival in collaboration with IRCAM. Since 1998, she has been teaching a graduate course in Interactive Computer Music Performance at Juilliard. Adelle Lin, representing the artists collective Meud, will develop NightGames, an interactive musical public artwork based on an app for smartphones. 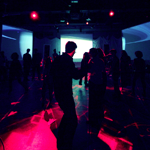 NightGames brings audiences together to collaboratively control an interactive sound and lighting environment, further expanding their understanding of game play and theatre to include freeform interaction. By leveraging technological systems in smart phones, a rich terrain for exploration fills the exhibit space. The installation rewards group cooperation, in addition to personal expression, bringing a conscious awareness to players that individual can impact and form a collective ecosystem. Meud works on scalable collaborative experiences mediated by technology. Phoenix Perry is the head developer of Meud; from digital arts curator to Creative Director, Perry has extensive experience in new media, design, and user interfaces. Adelle Lin has worked as an architectural design team member designing retail fitouts and design strategy for Australia. Currently she works with renewable energy technology to deliver leading edge sustainable infrastructure. In addition to Phoenix Perry and Adelle Lin, Meud artists include Sophi Kravitz, Margaret Schedel, Colin Snyder,and Emi Spicer. Haeyoung Kim’s Moori is a collaborative narrative environment where users participate in a real-time storytelling. Using mobile technologies and network systems, participators express their ideas through instant messaging and algorithmic animation using their personal devices. Through the Moori system, audience participation is visualized and reproduced aurally. As a result, Moori allows users to become anonymous authors of an interactive storytelling experience and a unique, dynamic and algorithmic audio/visual performance. Kim is a digital artist, technologist, sound artist, and performer. Her work focuses on immersive experience in sound, human interaction, and perception. Under the name Bubblyfish, Haeyoung explores the territory of sounds, live performance and interactive media. She has been commissioned from Roulette/Jerome Foundation, Turbulance.org. Her work has been exhibited in galleries and museums including NamJunePaik (NJP) Art Center in Korea, Kunsthalle in Austria, and Moving Image Museum in New York. She also has performed in numerous international digital art venues including MUTEK in Canada, Mapping Festival in Switzerland, and File Festival in Brazil. Jess Rowland will develop Flexible Audio Speakers for Wearables and Sound Art. The project explores interactive sound environments using flexible, transparent audio speaker arrays and other novel embedded electronics. The artist creates flexible audio arrays with flat conductive circuits in copper and aluminum foils. The electromagnetic field and the interaction with a stationery magnet generate the sound. These surfaces are maximized by the relationship between the magnet and the circuit design, which offer an optimal audio level. Rowland’s experiment could be an opportunity to develop audio wearables in the market. Jess Rowland is a sound artist, musician, and composer who maintains an active practice in several fields of technology and performance. She is currently represented by Edgetone Records and received an MFA in Sound Art Practice and Certificate in New Media from UC Berkeley. Marco Donnaruma and Heidi Boisvert created [radical] Signs of Life, a multi-disciplinary, interactive dance performance that externalized the inner workings of the mind’s non-hierarchical distribution of thought. Music was generated from dancers’ muscles and blood flow via biophysical sensors that capture sound waves from performers’ muscular tissue. 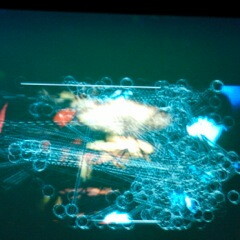 The corporeal data triggered complex neural patterns to be projected onto multiple screens as 3D imagery. As the audience interacted with the images, they entered into dialogue with the dancers. The work was performed at the Experimental Media and Performing Art Center in Troy NY. Based in London, new media and sonic artist, performer, and teacher Marco Donnarumma is weaving a thread around biomedia research, musical and theatrical performance, participatory practices, and subversive coding, all while looking at the collision of critical creativity with humanized technologies. He has performed and spoken in 40 countries, taught over 30 workshops in the past two years and has held multiple residencies. Marco is a PhD student for the Embodied Audio Visual Interaction (EAVI) Research Group at Goldsmiths, University of London. Heidi Boisvert is a new media artist, game designer, experimental filmmaker, writer and educator. She designed the first 3D social change game, ICED I Can End Deportation, about unfair U.S. immigration policies, and most recently, America 2049, an alternative reality game on Facebook about pluralism. Heidi founded and serves as the CEO & Creative Director of the futurePerfect lab, a boutique creative agency that works with non-profits to develop imaginative and playful applications of integrated media and emerging technology. She is currently a PhD candidate in the Electronic Arts program at Rensselaer Polytechnic Institute. Juraj Kojs created the composition and performance of an original Wearable Haptic Interface (WHI). This interface enables tactile sensations actuated on the performers’ skin to be used in A-Touch, De-touch, an interactive multimedia composition. WHI is designed as a grid of actuators remotely controlled by a custom-made iPad application. Three performer-audience member pairs compete in a game in which recognizing shapes from skin sensations leads to music making. His team will later develop WHI applications for education, rehabilitation, and gaming. The work was presented by Harvestworks for the 2013 New York Electronic Art Festival. Juraj Kojs is a Slovakian composer, performer, multimedia artist, producer, and researcher who has received numerous awards, commissions, and publication. Kojs is the director of Foundation for Music Technologies (FETA) in Miami, FL and is currently a full time faculty member at Miami International University of Art and Design. He holds a Ph.D. in Composition and Computer Technologies from University of Virginia. Jeff Thompson’s project Experiments in Haptic and Non-Visual Games explored videogames that discarded visual displays for vibration, smell, and sound feedback to create unique narratives and goals. Built for mobile devices and custom electronics, these games focus on non-visual interaction and the new kinds of games that result. Primarily “art games,” the resulting technologies may have applications in mainstream videogame design as well as user experience design for mobile devices and accessible computing for disabled persons. Jeff Thompson received his BFA from the Minneapolis College of Art and Design and his MFA from Rutgers University. He is currently Assistant Professor of New Genres and Digital Arts at the University of Nebraska-Lincoln where he is also artist-in-residence at the Holland Computing Center. He has performed and exhibited his work internationally, is an active curator, and his visual and written projects have been widely published. Matthew Tennie continued his work on Flight 18, an interactive science education installation that will allow users to experience the solar system by flying a virtual spaceship. Using the video game engine Unity3D, a large 3D model of the solar system will allow users to explore different locations without restriction. The current model keeps true the size and distance ratios of the planets and sun which show the incredible scale of our solar system with a surround projection field of view of over 250 degrees. Matthew Tennie has designed video and sound throughout New York City and has served as the Associate Video Designer for the current Blue Man Group North American Tour. He holds a Master’s Degree from the Interactive Telecommunications Program at NYU. Matthew Osrowski worked towards developing an app for use with the Leap Motion 3D controller as part of the performance interface for 1973, a composition for Fair Use, his electronics trio. The work is based on audiovisual media materials from the year 1973. These assets are manipulated, combined, juxtaposed, and quoted by the performers to create an evening-length anti-narrative of a year in history. Using cutting-edge data-mining and interactive performance technology in collaboration with electric instrumental performance, the work aspires to bring to the stage the year 1973 in all of its historical contradictions. Matthew Ostrowski is a pioneer in live electronic arts, having worked as a composer, performer, and installation artist for over 20 years, exploring alternative controllers, multimedia, and theater. His work has been seen or heard on six continents, and he is currently most active as a member of the audio/video trio Fair Use, doing performances based on accelerated film classics, and in the duo KRK with contrabassist George Cremaschi. 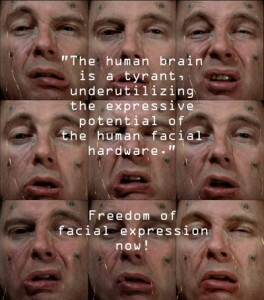 Arthur Elsenaar is an artist, electrical engineer, and facial hacker. 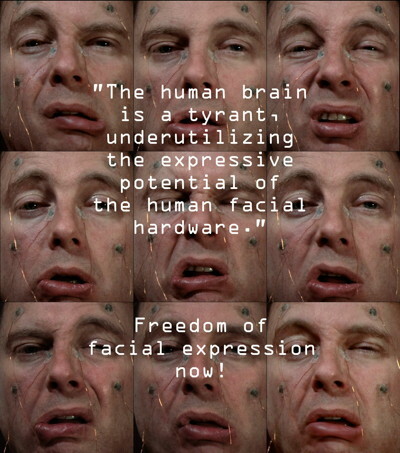 Since 1993, Elsenaar has investigated the computer-controlled human face as a site for artistic expression. He holds a Ph.D. in Art and Design from Nottingham Trent University. Currently he is a lecturer at the ArtScience Interfaculty of the Royal Academy of Art and the Royal Conservatoire in The Hague, Netherlands. Elsenaar’s work has been shown at many internationally renowned conferences, festivals, and institutes. Paul Geluso developed 3D Sound Objects, a 3D speaker technology that was created and tested by sound artists Suzanne Thorpe, Stephen Vitiello, and Steve Roden for multi-channel sound art installations in the 2013 New York Electronic Art Festival. The sound object will be further developed as a platform for new experimental compositions by other contemporary composers. Paul Geluso is an engineer, composer, musician, and educator who has been working with artists who use sound as a creative medium for more than 20 years. Since his first EP was released in 1992, he has been credited on hundreds of CD titles, award winning film/video soundtracks, and several multi-channel sound installations. His solo and collaborative works have been featured in galleries, studios, and festivals, and he has received individual artist grants for his electro-acoustic music from the New York State Council on the Arts and Meet the Composer. Paul is currently on the full-time Music Technology faculty at NYU Steinhardt researching 3D audio recording and playback technology. LLigorano/Reese developed the project I AM I, a woven fiber optic mirror (12 x 36 inches) that reflected an abstract image of its subject based on personal data from custom software tracking users’ activities. The fabric is active, attached to RGB LEDs, which responds to and display data in moving patterns and colors. They designed and developed the technology with a team of programmers and engineers. Working as a collaborative art duo, Nora Ligorano and Marshall Reese manipulate images, audio, and text from old media combined with the new. Their pursuit is an ongoing investigation into the impact of technology on culture and the associations and meanings that the media brings to images, language and speech in politics. Nearly a decade after development, their work continues to appear in multiple galleries and exhibitions and has received many awards and grants. Pauline Oliveros developed a Smart Hands Free Controller (SHFC) for the iPad. A camera activation device allowed performers to access the power of the computer, move faders and punch switches on the fly, and change or activate performance processing parameters, all while the hands are engaged in performing a musical instrument. 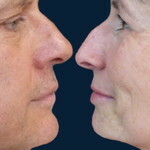 This was accomplished by recognizing face movements or some other gestural means repurposed for performance control. SHFC was used to control EIS, which processes and spatializes acoustic or electronic sound. 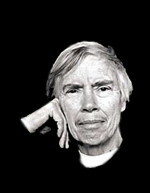 Pauline Oliveros is an acclaimed composer, performer, and humanitarian. For four decades she has explored sound, forging new ground for herself and others. Through improvisation, electronic music, ritual, teaching, and meditation she has created an expansive body of work. Oliveros has been honored with awards, grants, and concerts internationally and now serves as both Distinguished Research Professor of Music at Rensselaer Polytechnic Institute and Darius Milhaud Composer in Residence at Mills College. Oliveros has been vocal about representing the needs of individual artists, about the need for diversity and experimentation in the arts, and promoting cooperation and good will among people. LoVid, the interdisciplinary art duo of Tali Hinkis and Kyle Lapidus, worked with new media artist, instructor and engineer Sean Montgomery to create Telephone Rewired, an audiovisual installation that probed and modulated human consciousness by rhythmically modulating neuronal oscillations in the brain to impact cognition. The installation stimulated the viewer’s endogenous brain waveforms into beta (focused attention), theta (deep relaxation), and alpha (calm awareness). After viewers don an electroencephalography (EEG) monitor, their brain rhythms synchronize into a neurofeedback loop and they enter the era of augmented cognition. The work was exhibited at Harvestworks during the 2013 New York Electronic Art Festival. LoVid explores aspects of the contemporary networked era that are often invisible or intangible, such as communication systems, biological signals, and spoken language. Their works have been screened and exhibited internationally and have received numerous grants and awards. Sean Montgomery has 13 years of experience in scientific research, programming, and electrical engineering and is interested in the interface of technology, science, art and entrepreneurship with an emphasis on social enterprise.